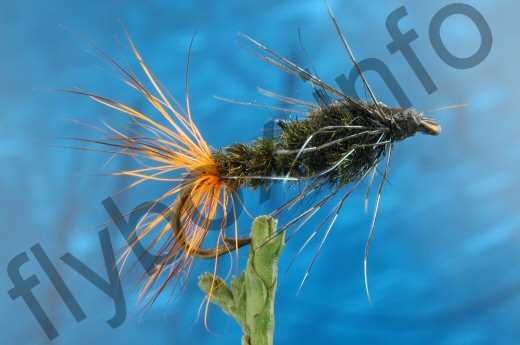 The Black Gorbenmac Nymph is one of the highly successful Gorbenmac series of trout flies. Tail : Hair hackle of black tipped woodchuck guard hairs dyed hot orange. Rib : Black mylar tinsel. Wing case : Blue mallard. Thorax : Black seal's fur. Currently there are no comments about the Black Gorbenmac Nymph fly pattern from other fly fishermen yet.